Our Air Canada Jazz Q400 parked at SEA. As I briefly mentioned in the trip report introduction, I "nestled" a round-trip Air Canada Jazz flight from Seattle to Vancouver in between my Delta and Alaska flights from and returning to Nashville. At first I was planning on taking the four hour (and reportedly very scenic) Amtrak ride between Seattle and Vancouver. However, the train only has one departure a day in both directions and the timing just did not work for the trip, so, taking the short 30 minute flight was the best option. Round-trip flights were hovering around $100 so I paid cash for the flight with the AMEX Platinum to earn 5x points (current sign up bonus is 60,000 points). I credited the flight the United and earned a few hundred miles for the short hop. An important note is that if you nestle a flight, or schedule an onward flight on a different carrier (sometimes we book a Southwest flight to position us to get to a hub where there is award space), if something goes wrong in terms of a cancellation, delay, etc., you are on your own. In addition, you must get your bag (ideally, do not check a bag) as it will not transfer between the airlines. On the way to Vancouver, I scheduled around a 2 1/2 hour layover in Seattle, which is about as close as I would cut it. On the return, I flew into Seattle the night before, stayed at the Airport Hilton, and departed for Nashville on an early flight. Using this method can sometimes save money, time, points, and miles, but it is important to understand the risks and schedule appropriately. Due to the fact the short flights were operated on by the same carrier, on the same route with an identical plane, I lumped the two together into one quick flight review. Departing from a gate seemingly in a different zip code than the rest of the airport, I made my way to the gate a few minutes before departure for the short 30 minute flight to Vancouver. The routes are operated by a Q400 in a 2-2 seating configuration and generally provide with spectacular views due to the scenery in the area and the low altitude of the flight. I was forced to gate check my bag that was sent to baggage claim in Vancouver rather than being collected plane-side. I boarded the Q400, grabbed my seat and then waited a long time. We left the "gate" only a few minutes behind schedule but did not become airborne for almost another hour. That's right, we say on the tarmac almost twice as long as the actual flight. Despite the quick flight, the flight attendant offered water or juice. Unfortunately, due to some extreme wild fires in the area, the views were mostly smoke and haze the entire way. Really a shame because it really looked spectacular cutting up the coast to Vancouver. We landed without issue and I was on my way. On the return flight, we had the same service and a similar flight time of around 27 minutes. Once again, we lost out on the views because of the think cloud cover and storms in the area. It also made for quick a turbulent ascent out of Vancouver and descent into Seattle. We landed safely a few minutes early and the "nestled" flight was a success! Flying with Air Canada Jazz (their regional flight brand) is certainly not luxurious, but provides a quick and convenient option for short hops. I was impressed they offered a beverage on the short flight as most US airlines do not offer any service on flights under 45 minutes. For the price and convenience, it's a great way to get between the two Pacific Northwest cities. Attending a conference in Whistler, BC, I thought it was a perfect opportunity to test out the two nonstop options to the Pacific Northwest from our hometown airport (BNA), Delta and Alaska. 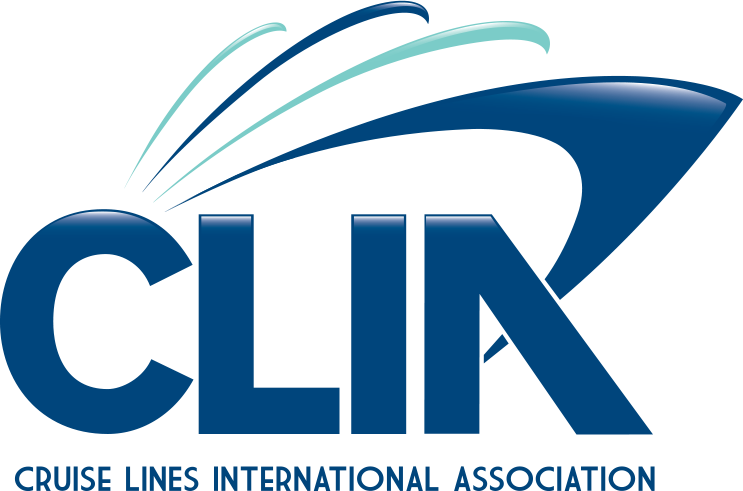 Better yet, since it was a fairly long flight to the West coast, I decided to check out the first class offerings from the rival carriers battling it out for supremacy in Seattle. Delta's First Class seat on the refreshed A319. Since my employer purchases economy airfare, I had to upgrade the flight using either miles or cash. 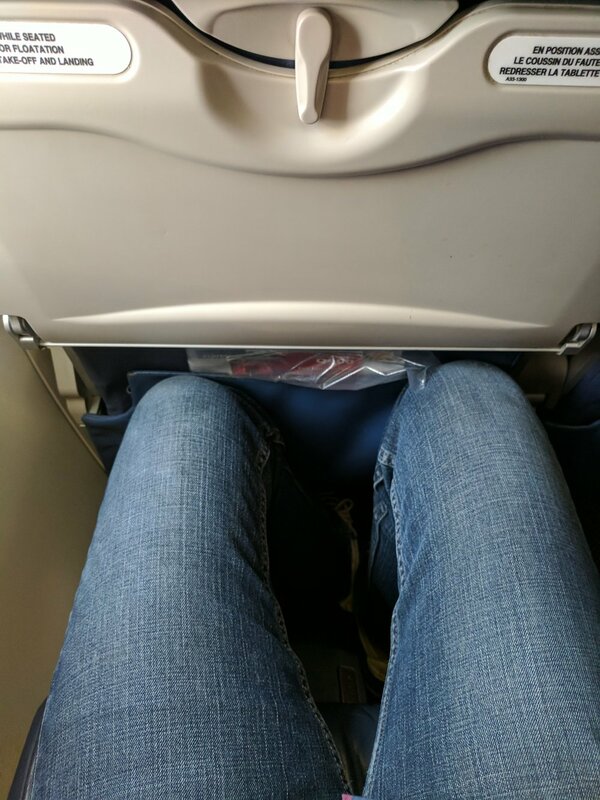 Fortunately, Delta was offering a paid upgrade for only $139, which I thought was a steal for a flight over schedule for almost 5 hours long. In addition, I was going to have to check a bag so the paid upgrade was a no-brainer. In total, the booking earned me 1,545 redeemable Delta Skymiles (5x the base cost of the ticket) and 2,966 Medallion Qualifying Miles (150% of miles flown for A fare class ticket). It was quick and easy to book online and was confirmed instantly. I booked the trip using my AMEX Platinum in order to earn 5 points per dollar on all airfare! That's like getting 10% back on every flight purchase. Click here for a sign up bonus of 60,000 points. 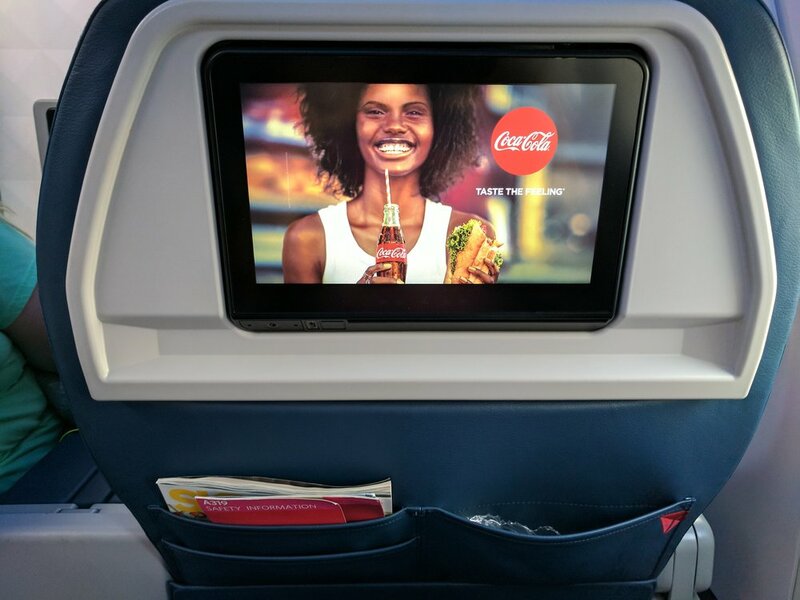 After a very long takeoff roll with a fully loaded and gassed A319, I checked out the seatback personal entertainment options as we climbed to our cruising altitude. The captain let us know that due to a light jetstream and smooth air we would have a quicker than normal flight time of only 4 hours 20 minutes. 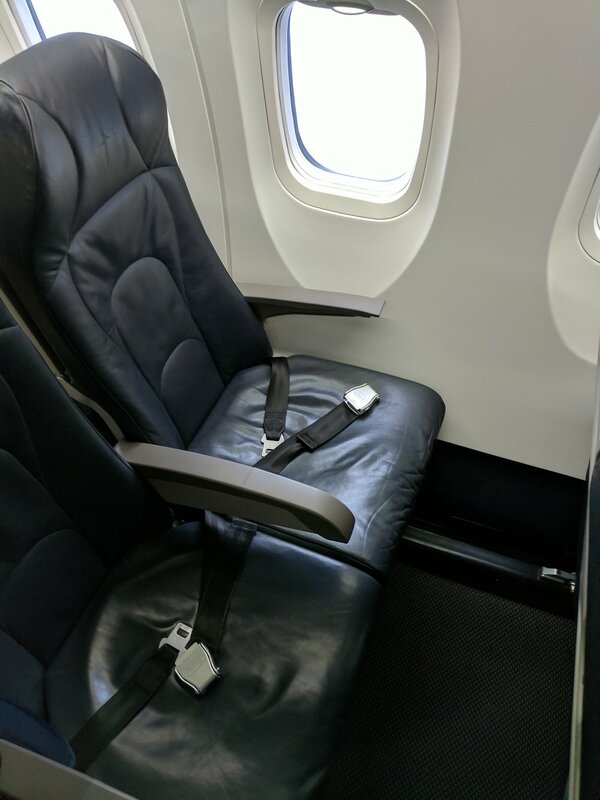 Although many airlines are eliminating the seatback screens to save on weight and fuel, I still enjoy having the option on longer domestic and international flights. Delta's entertainment had about 90 feature films and episodes from about 50 TV shows. Plenty to keep me busy for the earning morning flight. A light and tasty first class breakfast. Throughout the flight, the flight attendants were attentive and thoughtful and started serving breakfast about one hour after takeoff. Options included oatmeal with fresh fruit or a Tuscan omelet. I opted for the vegetarian option (oatmeal and fruit). Overall, the breakfast was a nice size to hold me over and was relatively fresh and tasty. About halfway through the flight the flight attendants came around with a snack basket containing cookies, almonds, kind bars, and a few other snacks. They brought the basket around again along with a drink refill and fruit approximately one hour before landing. 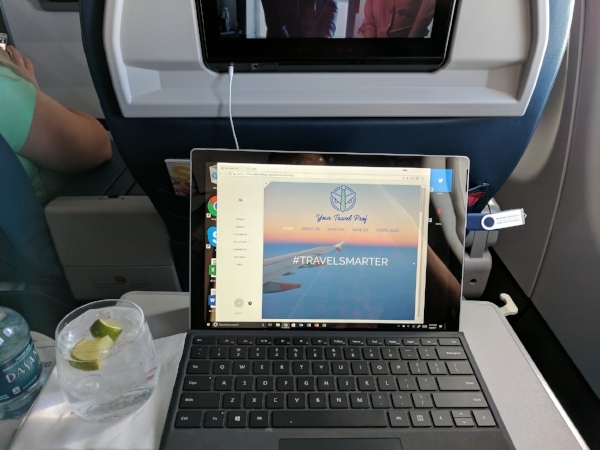 During the morning flight I opted for the internet in order to stay connected and get a bit of work done. 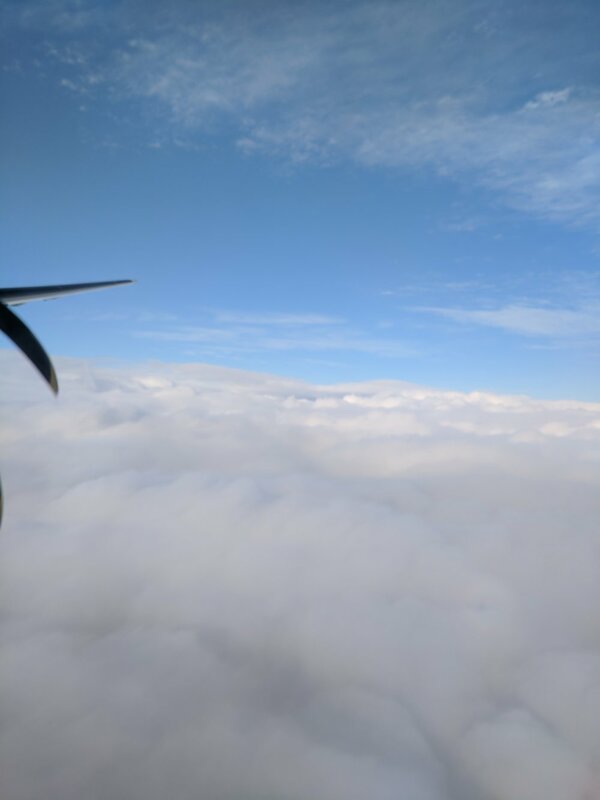 The plane featured the new GoGo 2ku internet and it was such a huge improvement over the standard GoGo option. With standard GoGo I regularly find it difficult to accomplish anything more than send a few emails. Photos, videos, or any other media are excruciatingly long to download. 36,000 feet in the air seems like the perfect time to plan your next trip! 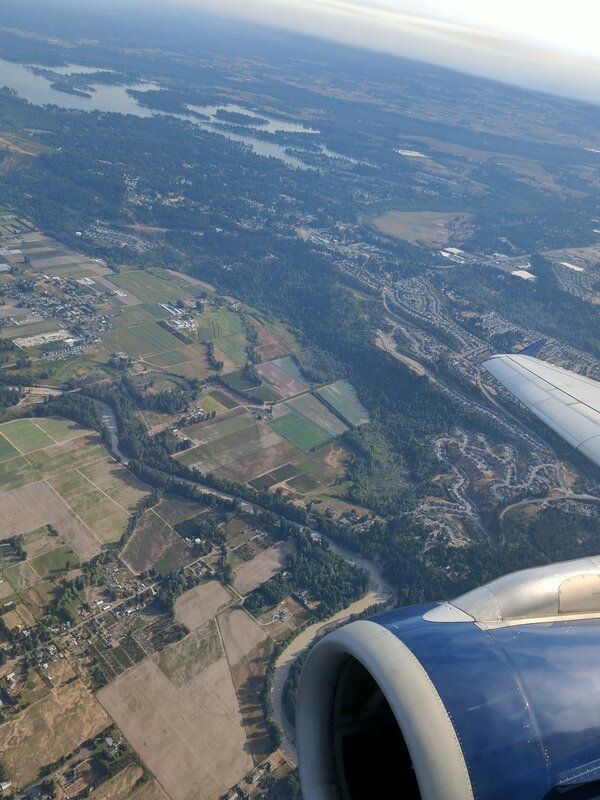 Between checking out a few TV shows, responding to some emails, and enjoying the always beautiful views at 36,000 feet (Team window seat all the way), the four and half hour flight was coming to an end and we made a steep initial descent into Seattle. Overall, I was impressed with the quality of food, service, and comfort of the A319 first class. 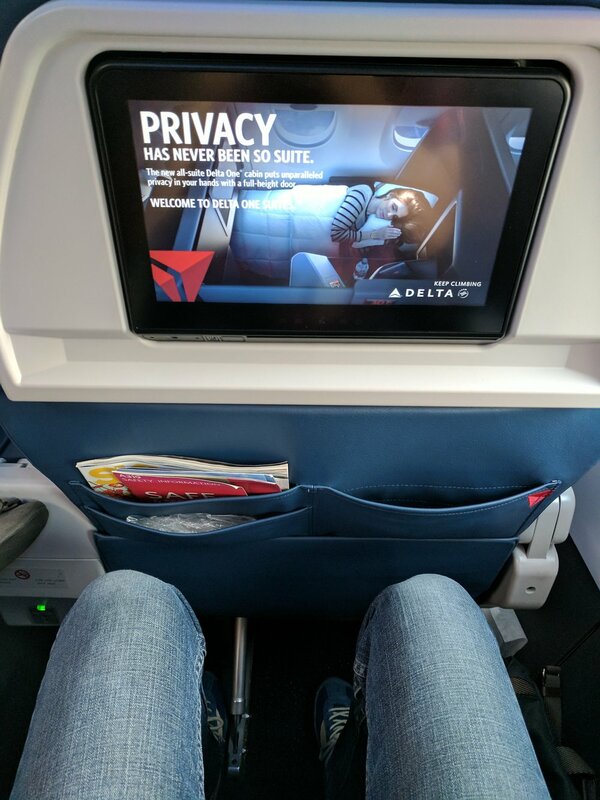 Delta exceeded my expectations on this leg of the trip. For only $114 ($139 minus the $25 I would have paid for a checked bag), the upgrade was well worth it for the comfort and nice breakfast. Check out some exciting redemption opportunities!